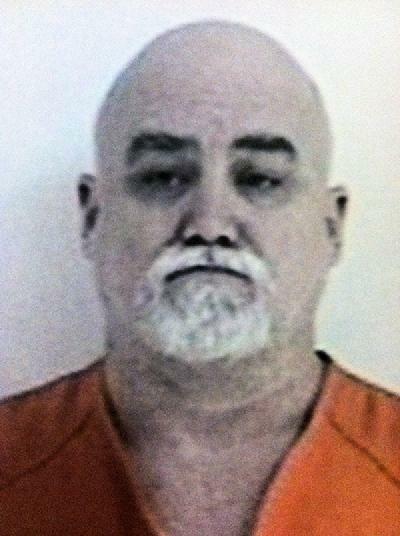 50 Year Old William Jeffrey Ferguson is believed to be armed and dangerous. Suspect With Rifle at Large, Authorities Looking for Tips, MOSCOW, October 6, 2012 - On October 5, 2012, a witness observed a subject exit a residence located on FM 350 North about six miles off State Highway 59 in Moscow. The witness called the Polk County Sheriff’s Office and followed the subject who left the residence in a silver extended cab Ford Ranger. The actor, who has been identified as 50 year old William Jeffery Ferguson, tried eluding the witness by speeding and driving erratically. The witness observed the actor drive through a steel gate and exit his vehicle and run into the woods with a rifle. The Polk County Sheriff’s Office assisted by the Texas Department of Public Safety, the Texas Game Wardens, Texas Rangers Company A, Polk County Office of Emergency Management, Americare Ambulance Service, The Gibb Lewis, Polunsky and Wynn Farm Prison Unit Tracking Dogs, DPS Swat, DPS Helicopter and the State of Texas Highway Department conducted an extensive search for Ferguson. After nine hours the search was called off due to darkness. Sheriff Hammack, asked if any one sees or knows the location of William Jeffery Ferguson to please call Crime stoppers or the Polk County Sheriff’s Office, your information will remain anonymous. It was because of the quick thinking of a citizen who cared, we were able to identify an actor before he could completely clean out the victims residence. Sheriff Hammack advised the actor was wearing blue jeans, gloves, not sure about the color of shirt the actor was wearing. The actor has a grey goatee and mustache, bald or very close hair cut. If anyone sees this actor please notify Crime Stoppers or the Polk County Sheriff’s Office.